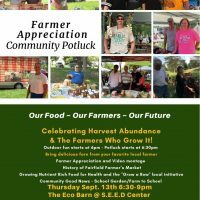 Join us for another Pot Luck and Community Discussion on Thursday, October 18 at 6:30 PM at the Eco Barn. 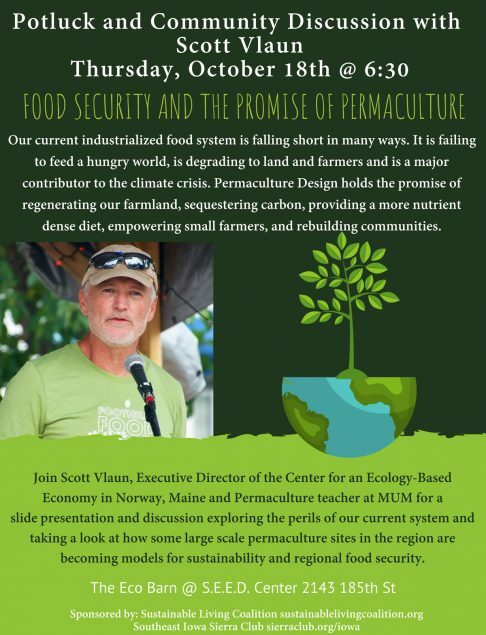 This is what our speaker, Scott Vlaun, has to say about permaculture and food security. Join Scott Vlaun, Executive Director of the Center for an Ecology-Based Economy in Norway, Maine and Permaculture teacher at MUM for a slide presentation and discussion exploring the perils of our current system and taking a look at how some large scale permaculture sites in the region are becoming models for sustainability and regional food security.